Your Uber ride, Alexa’s nearby restaurant recommendations, and even the Eevee you caught in Pokemon Go! are all accessible because of a band of satellites that work together to give you accurate location information. This group is called the “Global Navigation Satellite System” or GNSS. The most commonly used group of satellites is the United States’ own NAVSTAR Global Positioning System or GPS. It currently has 32 operational satellites from the country’s Department of Defense. Apart from commercial use, the military and civil sectors use this for their own projects. The GNSS also has Russia’s Globalnaya Navigatsionnay Sputnikovaya Sistema or GLONASS. It has over 24 satellites. Galileo, which is owned and operated by the European Union, plans to have more than 24 units up by 2020. It has 22 operational units at present. China has the BeiDou Navigation Satellite System. The nation currently has 33 satellites and plans to have 35 by 2020. India also has its own Regional Navigation Satellite System (IRNSS), which is also known as Navigation Indian Constellation (NavIC). It has seven satellites operational as of 2018. Japan’s Quasi-Zenith Satellite System (QZSS) has four satellites available this year. The country plans to put up seven satellites by 2023. With this many satellites orbiting the Earth, it’s no wonder that modern smartphone apps can pinpoint your location easily. How do they do this? Satellites transfer location information to your device through radio waves. It’s accurate for 7.8 meters, 95% of the time. This is impressive, given that your phone or car navigation system has to calculate its distance from four or more satellites that are miles aboveground to determine your three-dimensional position. Your device makes use of these four units to calculate longitude, latitude, time, and altitude. If this is impressive to you, more sensitive receivers from electronic maps can plot your location accurately to within a few inches. Military-grade ones are even tested with GNSS simulators to make sure they can give correct information despite interference. In the world of satellite navigation, time is everything. The reason is that satellites orbit the earth at high velocities, as they move 45 microseconds faster than the Earth per day. 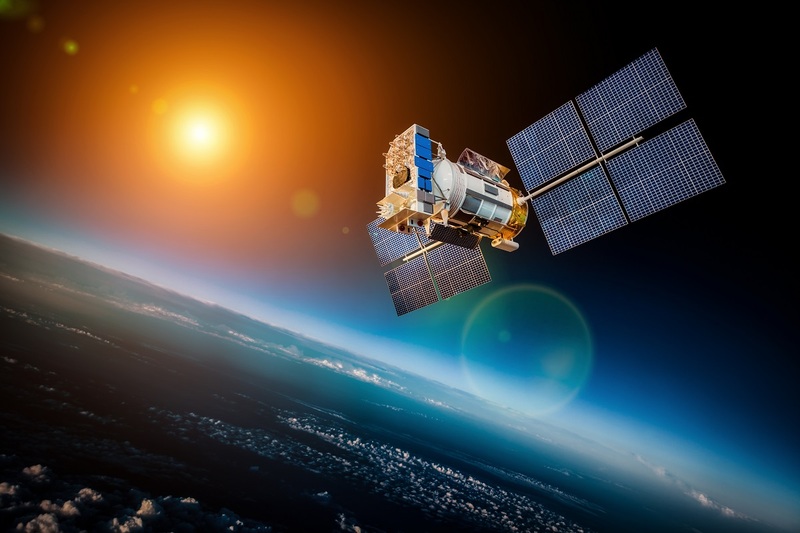 To make up for this difference, satellites are equipped with atomic clocks to make sure that the calculations are always constant and that there will be little to no delays in giving location information to those who need it most: air traffic control and the military. Everyone who relied on satellite navigation, including the Federal Aviation Administration, the military, broadcast networks and more, went through a problematic 12 hours when the U.S. shut down its oldest GPS satellite: the SVN-23. It caused a software bug among the rest of the satellites, causing them to have a delay of 13.7 microseconds. First responders in different U.S. states couldn’t lock into the GPS network, the FAA received faulty reports, and TV networks in Spain and radio networks in the U.K. got over 12 hours of disruption. It’s these mistakes that push experts to create safer and more efficient satellites and receivers. Satellites have vast uses beyond location services, too. Television networks use them to broadcast programs. Some of the satellites are also equipped with powerful cameras that take accurate and often beautiful pictures of the Earth. So the next time you book a Lyft home, remember to thank a satellite – or four. Navigation systems, whether they’re used for self-driving cars or military missions, always have to be accurate. However, they’re vulnerable to attacks and interference. Our GPS simulation systems at CAST provide laboratory-grade testing for your navigation devices. The CAST-2000 GPS Simulation System has fully-programmable dual frequency signal generators which allow for safe and repeatable results every time. Call us today to test your navigation equipment.